After a busy week I finally had some time to sit and stamp so I played along with the current challenges over at The Paper Players and Freshly Made Sketches. It's a lovely rainy fall day in southcentral Alaska (yep, fall is here already!) so a perfect time to sit and relax. The Paper Players has a Tic Tac Toe challenge, I always enjoy those! I decided to go with the " birthday/yellow/patterned paper" column as I love the color yellow and am always in need of birthday cards! My card base is Daffodil Delight and I did some faux stitching around it in Basic Black. I then layered some yellow paper from Sweet Taffy DSP on a strip of Basic Black. 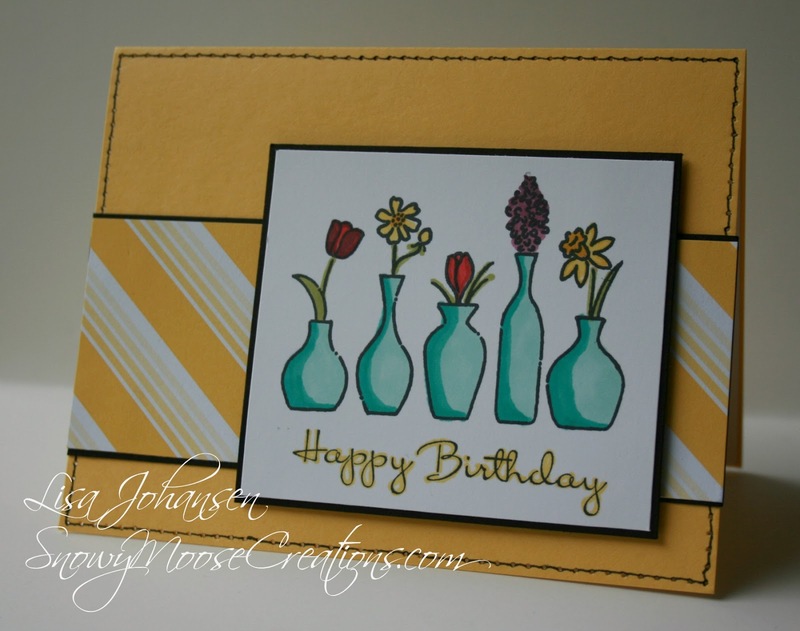 Vivid Vases was stamped on Whisper White but I left the sentiment that is underneath the image off and instead stamped a sentiment from the retired hostess set Happiest Birthday Wishes. The image was colored with SU Blendabilities. Make sure you head by both blogs to check out the challenges! 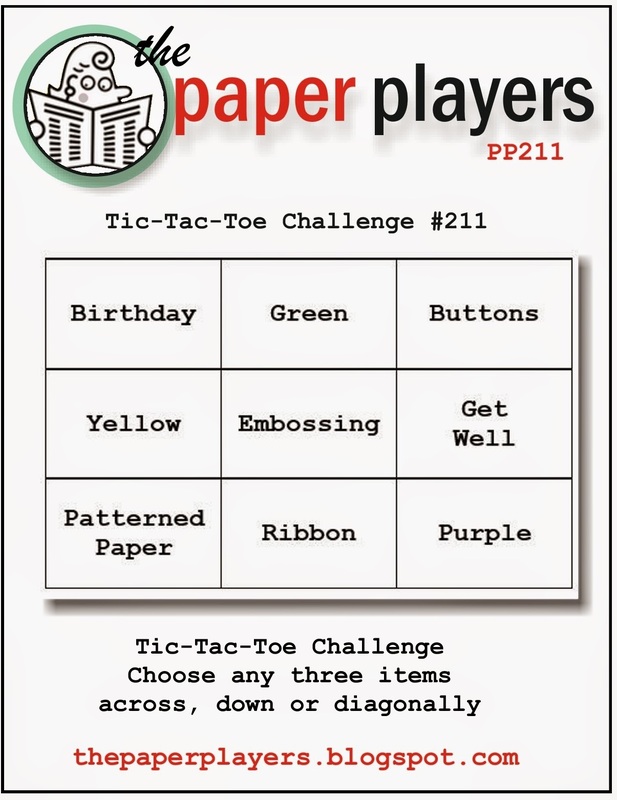 The Paper Players Tic Tac Toe challenge ends at noon on Fri PST. Fantastic combination of challenges! The yellow is so cheerful and I love how you colored the Vivid Vases. Very pretty card! So glad you shared your creation at The Paper Players. Such a pretty card!! I love the colors!! Beautiful card Lisa! I love those vases and flowers! Such cheery, fun colours! Great job with the colouring! Thanks for joining us this week at Freshly Made Sketches!